This weekend the designer Eugenia Kim was in town for a trunk show at P.45 in Bucktown. P.45 was one of the first boutiques to start carrying Eugenia's now famous line. I shot some video of Audrey from A Lovely Escape talking to Eugenia about her hats and the famous people that wear them, but sadly the sound is almost completely inaudible, WOMP WOMP. 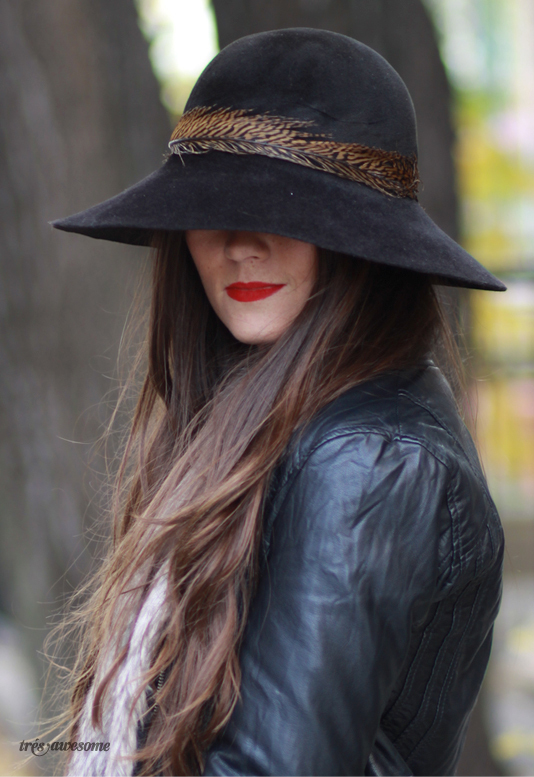 I was able to snap some photos of the lovely Audrey in this beautiful Eugenia Kim hat. The feather detailing is just gorgeous and Audrey's bright red lipstick is a perfect match with this look. I can feel the crisp weather in your photo ... very nice shot! Please give me a feedback and sorry once again , I did try to send you a email but I was enable to do it.